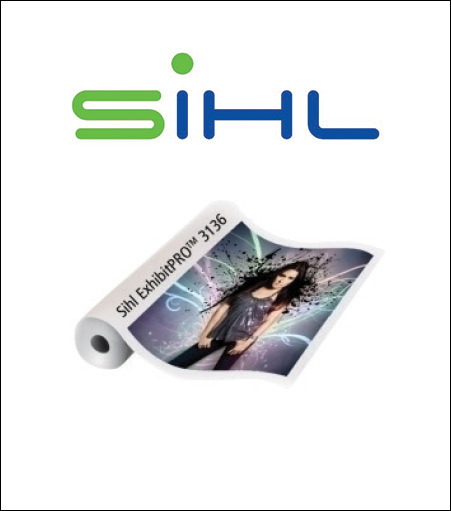 3136 ExhibitPRO 6 is the newest generation of polyester rollup films from Sihl. The improved, satin, instant dry coating is designed for maximum print density and durability with the latest generation of aqueous inkjet printers. The gray backside provides 100% opacity to prevent show through and color washout. The durable, polyester construction is engineered to withstand repeated rolling in portable display units without tearing or edge fraying, making it the ideal media for trade show, retail and other point-of-purchase displays.